We just uploaded a new plan, the awesome Panavia Tornado! Inspired by the Steve Shumate F-14, the Tornado features swing wings and awesome lines. The designer, Craig Clarkstone adds another awesome design to his growing catalog right here on Parkjets. Oh snap, we just uploaded plans for what has to be sexist looking pusher ever. Check out the Bugatti P100, designed by Craig Clarkstone, this Bugatti is just so sleek. Beware, it's super fast and a bit heart pounding to fly, but damn, it looks too good out there in the air. Parkjets got another great plan from Craig Clarkstone, the Red Arrows Hawk. 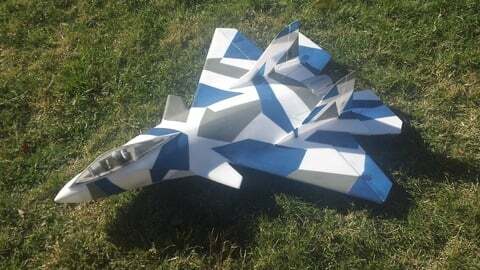 If you are familar with Parkjets, you know his YF-23 is one of the best looking parkjet models on our site today. You know you are getting a quality design that looks good in the hanger and in the air. His plans contain everything you need, from decals, construction guides, and parts drawings. Like all our plans, head over to our FREE PLANS page and download away. Be sure to show the designer some love too, and get to flying! Kicking off 2015 the right way with a new plan! 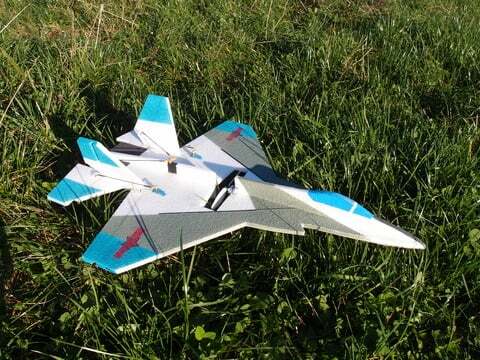 This time we got the great looking J-31 Falcon Hawk in our inbox with great looks and super easy construction. This one is a basic profile design with some different control surfaces which give this EPP designed jet some cool capabilities. 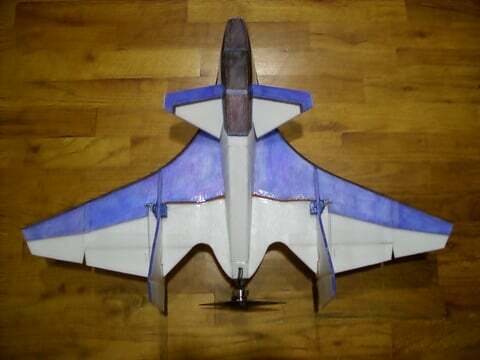 This is a great little project that was passed along to us by a reader of Parkjets.com. We thought the timing was perfect! 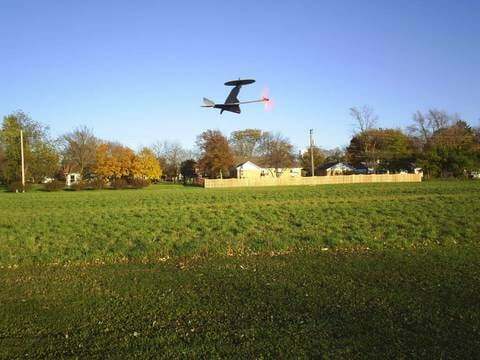 After all, Halloween is just around the corner and putting together a quick project to fly around the neighborhood is a perfect weekend project. We just uploaded another plan to the growing catalog of FREE PLANS right on our site. Now that brings the total number of free plans up to 135, which is a pretty big deal. We can’t believe we are only 15 plans away from crossing the big 150 milestone. It will be here soon enough. Building a good quality catalog is not easy and takes a lot of time, but with over 35,000 people downloading plans every month, we know there is always room for one more plan! We just added a new plan to the expanding catalog, the T-720 Broadhead. It's from the same designer of the Hot Spot, so you know it's a proven plan. The zip file contains the parts drawings along with construction photos to help you out when you get yours ready to glue up. 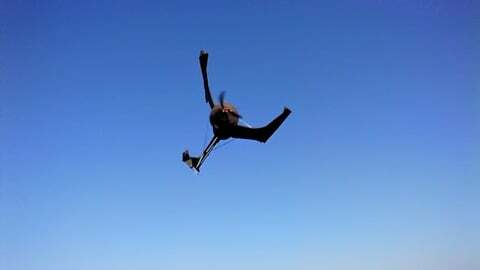 The T-720 is a stable flyer but also nimble and capable of good manuevers, suitable for beginner flyers as well as the more experienced RC pilot. We just finished up adding in three new plans from the designer of the X-Shuttle, which quickly brings Robertus' total to four plans in our ever growing FREE PLANS catalog. So let's not waste anytime, here is a brief rundown of the new designs. We just posted a new plan over in our free plan catalog, one of the biggest and most comprehensive on the internet today. The X-Shuttle is from a designer that is just starting to feed Parkjets some plans, so we look forward to getting more online soon. The X-Shuttle is a simple form build, with simple formers and a skin over a smooth looking body. 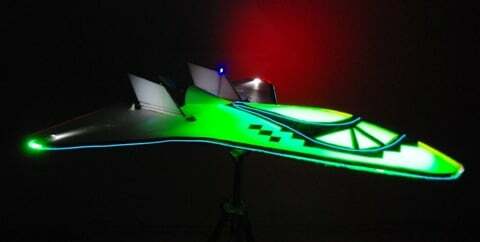 The designer put a bunch of LED lights on his and the results are awesome on low light flying. The X-Shuttle can move well in the air with plenty of speed, but slows down to a float when the power is cut. An excellent addition to the catalog. Now, before it gets too hot outside, get out there and get to building and flying! Okay folks, been a few weeks on the new plans. But this one makes up for it. Now you know we look at a lot of plans before we post them. We want to make sure they work, we want to make sure the documentation is good. And we want to make sure you know what you are getting with good pictures and video. This is not an exageration: This new plan is one of the best we have ever seen. Period. We just posted a new plan for the new year! The Hot Spot came to us a while ago and we let it slip down the priority list but the designer sent us a nice reminder. Hey, sometimes its needed! The Hot Spot is a great looking fun jet style foam parkjet. We just added in a new plan late last night, the SAF-14. 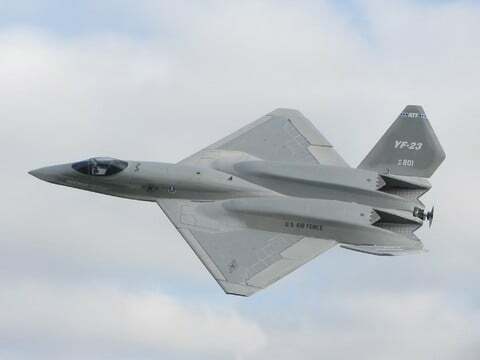 Think of it as a combination of the F-35, SU-37, and bunch of originality. Better yet, this design comes from a new designer, Eduardo Flores. 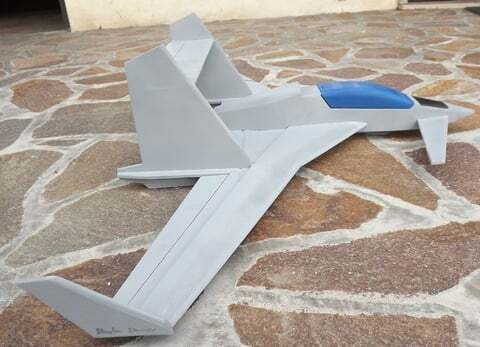 This model is built for EDF and based on the results, getting better than 1:1 weight to thrust ratio means it will perform like a good EDF should. 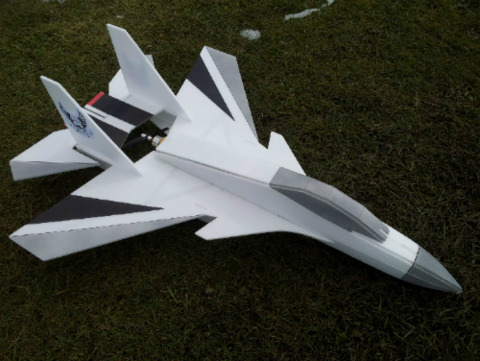 The designer of the SU-37, F-15, Eurofighter, and more just sent us over the latest design from FRCFoamies, the F-15 MK2. Now, while it may look like the original F-15 MK1, it is a completly new design offering some improvements in scale and performance. From the designer of the F/A-241 Shrike, comes the new parkjet plan, the F-242 Spiker. Oh sure, it's a fantasy plan, but the lines are nice and no one will have this design on their workbench. 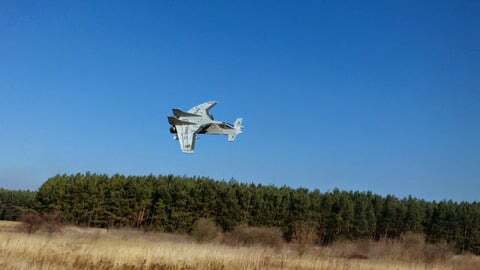 You can see from the picture, the Spiker features large delta style wings, something we know produces the best parkjets. 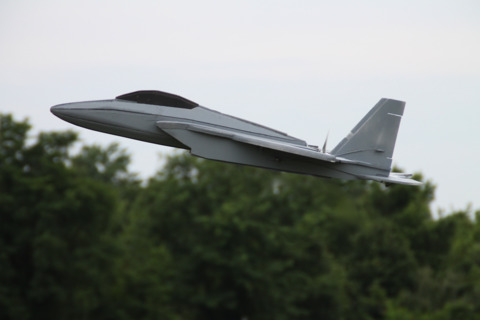 Designed to be a highly maneuverable project, the F-242 doesn't disappoint. 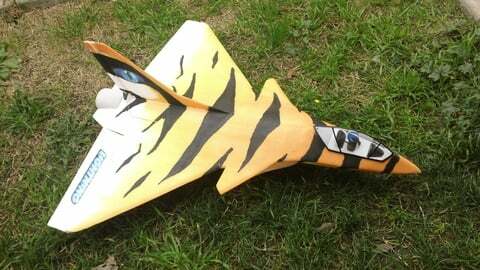 Coming in at about 27" wingspan, its small enough for even the smallest parks. Just the way we like them. Last week we uploaded a new plan to our FREE plans page. Jamie Rothwell let us know he has made some modifications and some size adjustments to his very popular SU-37 plans. First, he shrunk the plans to 80% of the original size. Then he cleaned up the plans, improved the canopy, nacels and some other minor tweeks. Then he changed the plans to allow for a simple modification so that the builder could convert the plans to the SU-27 with a little effort.